My headphones are not working. I'm using windows 8 on Acer Aspire 5733. When I check the settings at the sound panel, there is only speakers at the playback, no headphones. 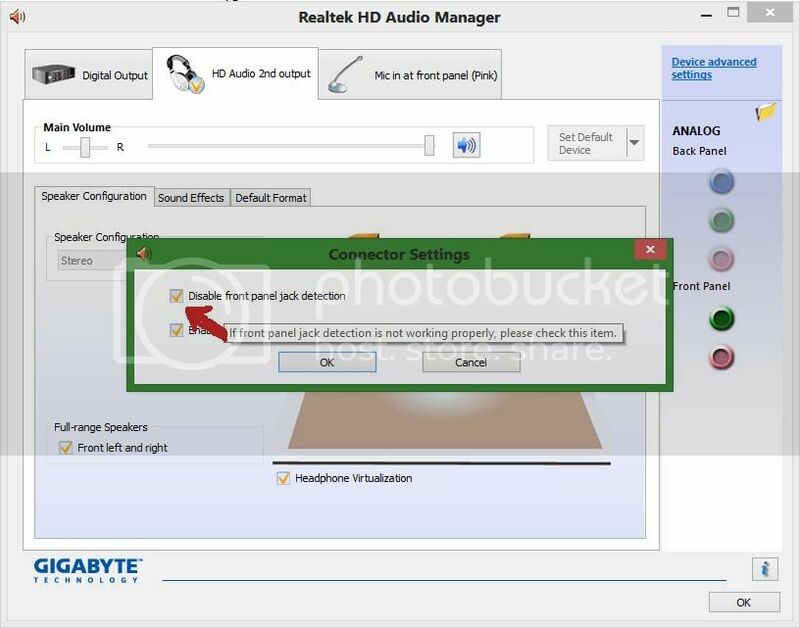 I'm using Realteck, but also, headphone drivers are missing from the sound input and output in the device manager. My computer doesn't recognize headphones. However, i tried using Linux and the headphones work well. 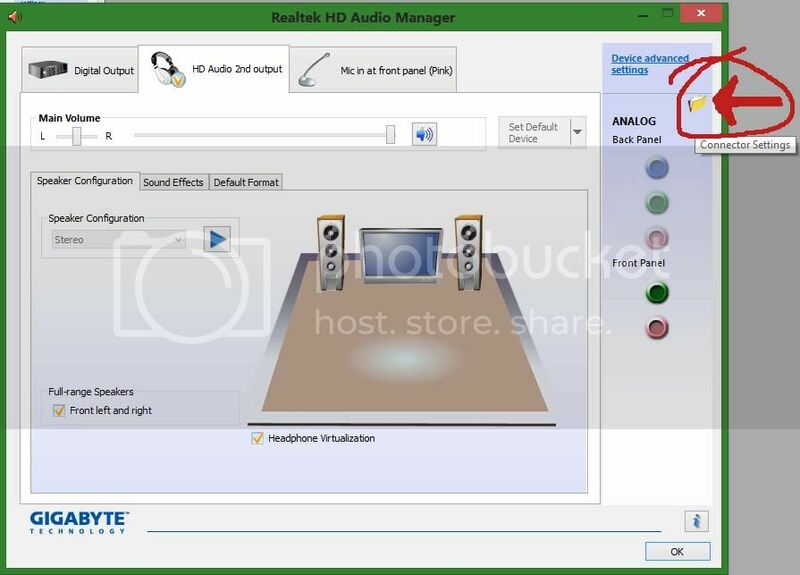 Open Realtek HD Audio Manager from control panel or from notification area icon(a brown coloured speaker). On the dialog box just below the close button there is written 'Device Advanced Settings' (no need to change the settings) and below this there is a Folder icon which shows tooltip text Connector Settings when you hover your mouse over it. Click open the Dialog Connector Settings. Tick the checkbox against Disable front panel jack detection and click OK.
Now enjoy the music over headphones and Cheer. Hi Kigan. Sorry for late reply. Just look at the screenshots below and you'll find answers to all your queries. How to fix Ovleng S99 ETTƎ bluetooth headphones that only the left side works? Headphones connected Vizio TV via USB not working even though it was working before.